RGB pure laser outperforms laser phosphor illumination. Although RGB pure laser and laser phosphor are both classified as laser illuminated projectors, RGB pure laser offers precision that was previously unobtainable. The color gamut, brightness, contrast and operational life of pure laser have lifted the industry into a new era of visuals and reliability. This is in large part a result of system design. RGB pure laser features individual red, green and blue laser diodes with specific wavelengths allowing these projectors to be incredibly efficient. A laser phosphor projector only uses blue laser diodes and requires extensive filtering and color correction to achieve acceptable color created with a rotating phosphor wheel, which degrades over time. This difference in efficiency has impacts on color, brightness and operational life – making it very important to understand what you are getting when deciding which illumination platform to choose. Bright, bold and vibrant colors can bring a movie to life! 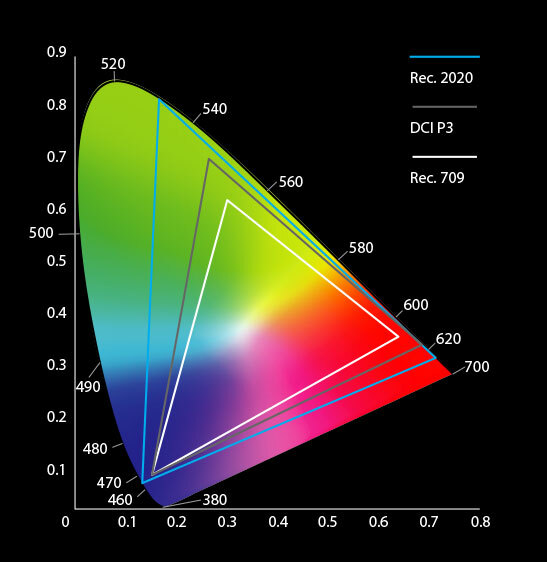 One of the major benefits of RGB pure laser is its ability to produce a wide color gamut, replicating Rec. 2020, which exceeds the DCI spec. Take a look at the charts to see how each illumination platform compares when it comes to producing colors. 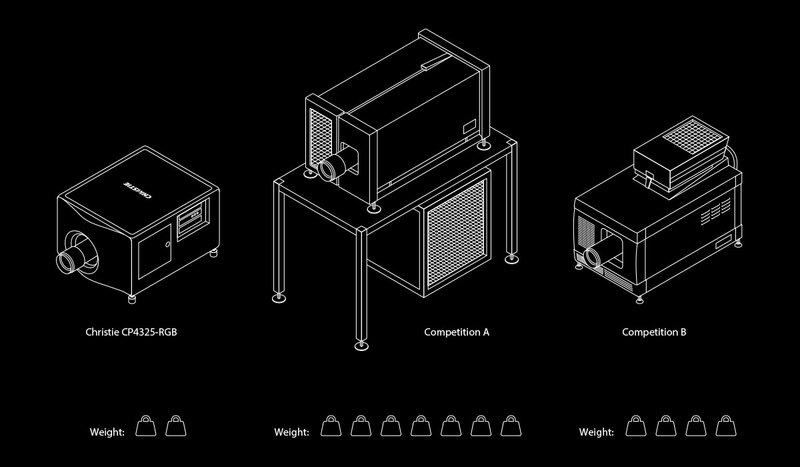 The Christie CP4330-RGB pure laser projector has a similar size and weight compared to Xenon-based cinema projectors. Christie's RGB pure laser cinema projector doesn’t use external chillers or racks, making it simple to install into pre-existing spaces, whether it’s a booth or boothless.